I work with a charity called Desert Feet. 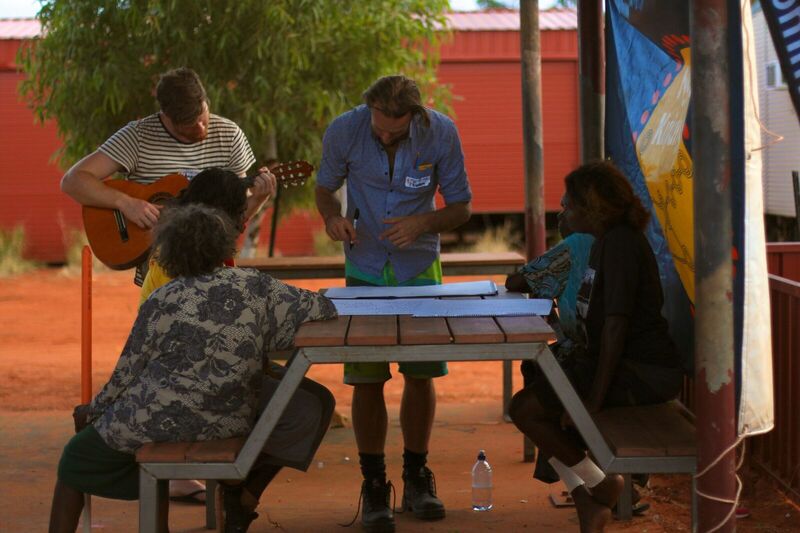 Our mission is basically to take musical opportunity and inspiration to remote Indigenous communities all across WA. There’s no two ways about it, it’s an awesome job. We have a massive duel-purpose truck that serves as a festival-size stage rig and also a professional recording studio. A typical tour involves driving across our beautiful state, camping under the stars, swimming in rock-holes and a plethora of incredible cultural experiences every single time. I’ve been working with Desert Feet for two years now and one of the things that continually blows my mind is the connection that happens between people through music. One of the most overlooked aspects of why this work is important comes down to opportunity. Everyone knows the age-old story of musicians re-locating to Melbourne because of a lack of musical opportunity where they’re from. Imagine living in a remote community where the nearest town is a days’ drive away. That is more or less why we do what we do. There is a plethora of amazing music coming from our communities, all we do is give that music a platform to be heard, whether that be a stage or a recording. This is important for many reasons, one of which is that the music is usually awesome and that’s reason enough on its own. Another is that we need to ensure that our first peoples always have a voice in our society. Not living in the big city shouldn’t prevent you from being able to do what you love and to have the opportunity to be recognised for it. Living in the city (Perth), it’s pretty easy to forget that there is a whole wild world right on our doorstep. WA is huge, it’s actually the second largest state in the world. There is such a rich and ancient culture that so many are oblivious of and I feel so privileged that I get to see so much of it. 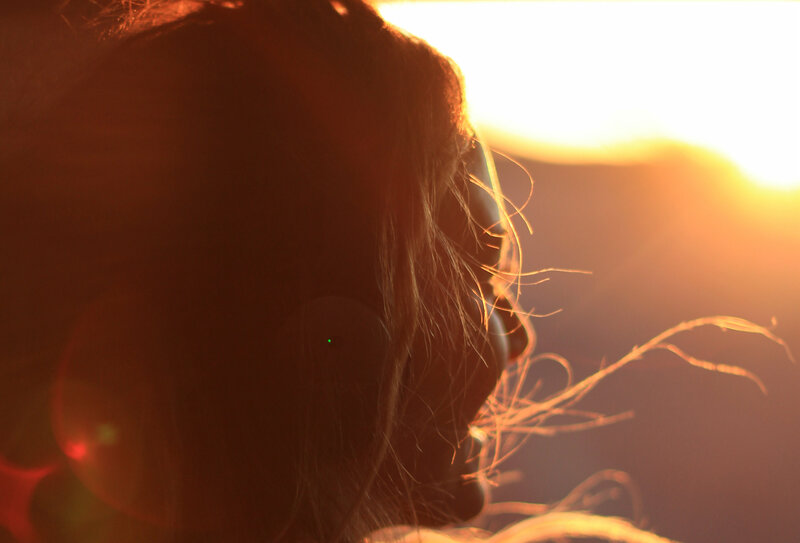 Music acts as the string that ties our two worlds together even though at times those worlds feel so far apart. We’ll often roll into a community, set up and then a band will come and have a jam. More often than not, that band wouldn’t have played their instruments in months or years, let alone play together. But you’d never know. The part that really gets me though is the change in demeanour. Folks out there are usually pretty quietly spoken and shy around us (the strange white people who’ve just rocked up to their home). But that can all change in a jam. It’s these smiles that make this job the best I’ve had. When we’re out there (wherever that may be), we’re foreigners on someone else’s land and although, as a white dude, that’s a fact wherever I am in Australia, it’s an acutely strong feeling when I’m out on community. And so it should be. Usually I’m a stranger among really shy people but it’s incredible the effect that music has in breaking down those boundaries. I’ve had countless jams with groups when we didn’t know each other from a bar of soap. Afterwards, we still don’t know each other, but we’ve shared that common ground and that’s enough to build a relationship on. Sharing that connection is one of the most special parts about doing this work. 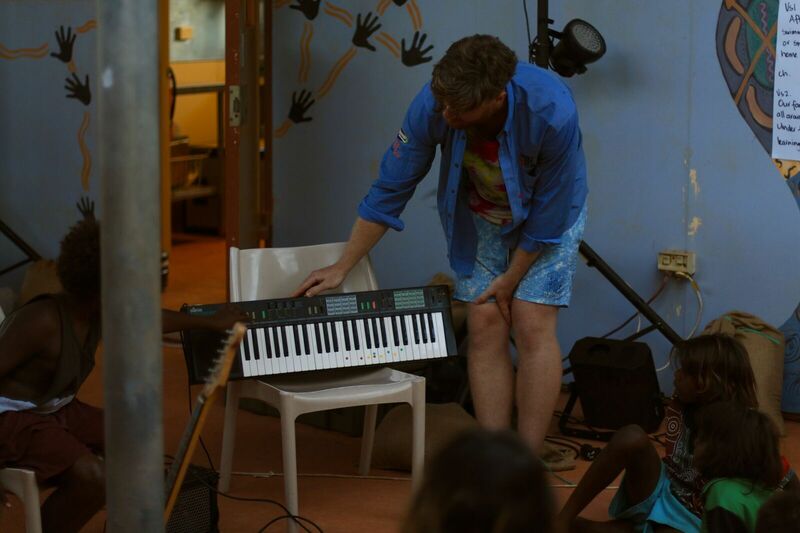 I run the school holiday program for Desert Feet and being able to help kids get involved with music is incredible. You see kids who are reserved and introspective come right out of their shell and blow everyone away. You see kids amaze you with their ability to pick up a strange instrument and have a go, and kill it! Even if you’re giving the kids an opportunity to do something different, it’s tops. On a bigger scale, one of the hidden agendas of Desert Feet is language preservation. There are literally hundreds of Indigenous language groups and many dialects within those languages. Many of these are dying out as they aren’t being spoken anymore and forgotten. These aren’t written languages, so once they’re gone, they’re gone forever. All that identity and culture is lost. Music, we’ve found, is a really great way of preserving these languages. It comes with challenges but encouraging artists to record in language is something that we try to promote because we want to share (with permission of course) these languages and cultures with the world, and the world wants to hear them. Indigenous Australian music is under-represented in the national and global sphere’s and if we can help change that then I think we will have been very successful in what we do. I’m so grateful that I have been able to take part in this project. It really has put my life into perspective, and why I’m so lucky. As musicians, it’s really easy to get wrapped up in our own little worlds. ‘Why isn’t my latest single on that playlist? Why didn’t I get that gig? My coffee tastes burnt’. I wouldn’t profess to know what’s best for other people, but taking part in a project that is bigger than myself and for others has been a beneficial influence on my life and would encourage others to do something similar. Angus Dawson is a Perth-based singer-songwriter. His sophomore EP Camouflage was released in September 2018. Listen to it here. To find out more about Desert Feet and how you can support the program, head to their official website.